The fundamental purpose of Sigma Lambda Chi is to provide recognition to outstanding students in construction curricula. Sigma Lambda Chi is the society that offers students the opportunity to be recognized locally and internationally for their academic accomplishments as a construction major. The first is to render service to the major field of study. This is accomplished by active student participation in tasks and events that affect the construction program that houses the local Sigma Lambda Chi chapter. The second objective is to develop good relations among campus, industry, and the public. Undertaking projects which further this purpose is expected of members of Sigma Lambda Chi. The third objective is to recognize outstanding professional individuals in construction. 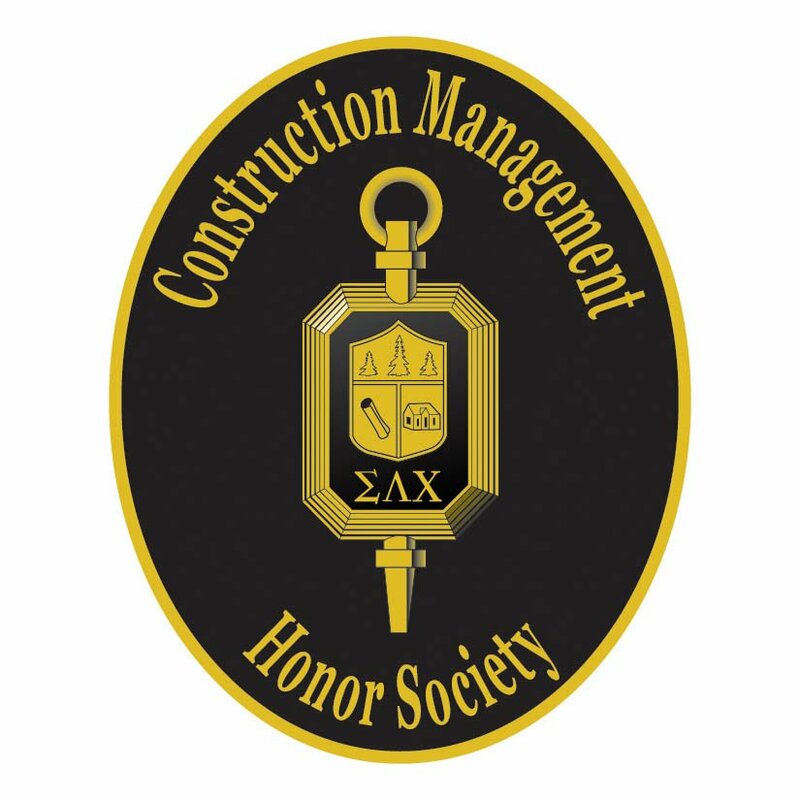 Sigma Lambda Chi has honorary membership classifications that can be bestowed upon individuals who deserve special recognition because of their contribution to construction education or some facet of the construction industry. Chapters can have their own Constitutions and By-Laws, as long as the Constitutions do "not conflict with the International Constitution." In addition, Chapter Constitutions "shall be submitted for review and approval by the International Executive Committee." Sigma Lambda Chi is a society that strongly holds to, and builds upon, the history and traditions upon which it was founded. Sigma Lambda Chi was founded by a group of individuals from Michigan State University, in the Housing and Merchandising curriculum who were interested in the enhancement of the construction profession. The first chapter, Alpha Chapter, was established on April 30, 1949. The Alpha Chapter developed the general guidelines by which the society is governed today. Since that time, the society has grown to include sixty-seven chapters across the United States and Australia, with a total individual membership of over twenty-two thousand. Honorary members of Sigma Lambda Chi are top individuals from industry and academia who have demonstrated outstanding leadership in the construction industry or construction education, and who believe in the goals and ideals of Sigma Lambda Chi. The Trees in the overriding top portion of the crest represent the supply of natural resources that are available to us as constructors. The Plans in the lower left portion of the crest represent the high level of research and planning that we as constructors must apply and maintain in our operations. The Building in the lower right portion of the crest represents the homes and all engineered facilities and services that result from our efforts as constructors. The original intention was to convey From forest resources, to logs and lumber, to shelter and housing. Changing times and the spirit thereof have broadened the general aspects of our society from merchant to constructor. However, the basic premise remains: that the integrity of the individual continues to be the guiding force. Sigma Lambda Chi is a Member of the Association of College Honor Societies, Inc. The Association of College Honor Societies (ACHS) is an organization of general and specialized honor societies who join forces for the establishment and maintenance of desirable standards and useful functions in higher education, and for the achievement of appropriate recognition. 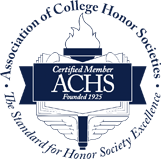 Member societies of ACHS are national and international general and specialized honor societies which are primarily associations of collegiate chapters whose purposes are to recognize and encourage superior and/or leadership achievement in some broad or specialized field of study at either undergraduate or graduate levels, and which meet certain minimal standards.